LED signages for industrial needs and factory premises are essential for conveying specific information smoothly, quickly and in an eye-catching way. 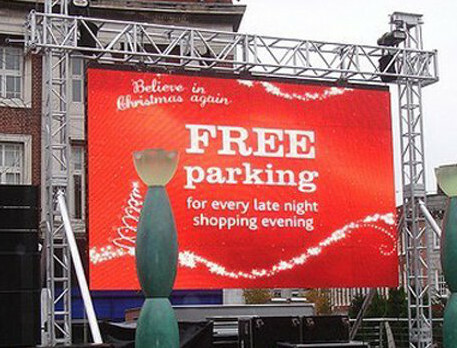 Due to their large size, dynamic lighting, LED displays provide a reliable and efficient way of conveying important information to large groups of people. Our LED signs are perfect for both indoor and outdoor uses for both factory, production and general industrial and commercial applications. LED screens can be used for indoor purposes such as health and safety notifications, production-specific measurements, production general stats, graphs, etc., or any type of emergency event, or alert. The outdoor LED screens can be used to provide directional information, time and date, health & safety statistics, for advertising factory, or industry related products, affiliate information, weather conditions, etc.